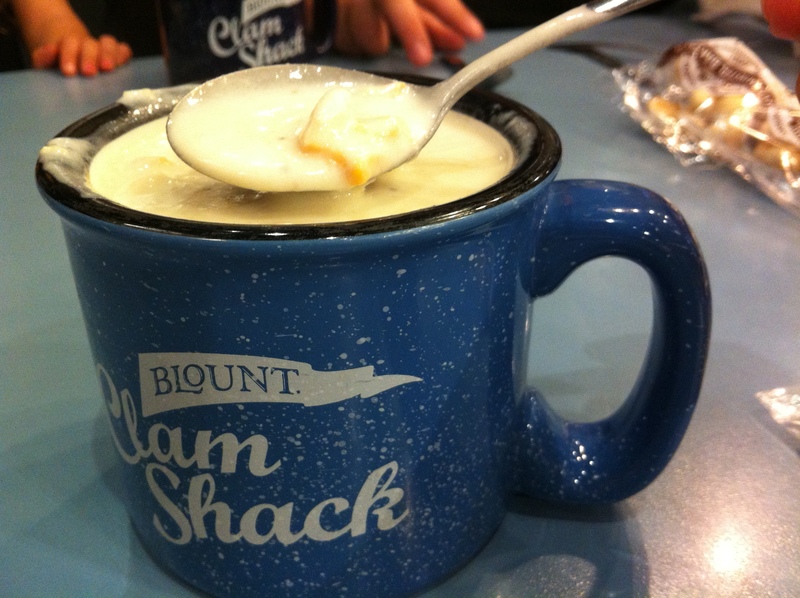 Blount Clam Shack’s famous clam chowder. In an effort to try and pretend that summer is not over, I’ve continued to make regular trips to Eskimo King for soft serve (yes, it’s worth the drive from Providence). It just doesn’t get much better than their medium (okay sometimes large) coffee soft serve cone with chocolate jimmies. Sadly, they closed for their season on October 14. 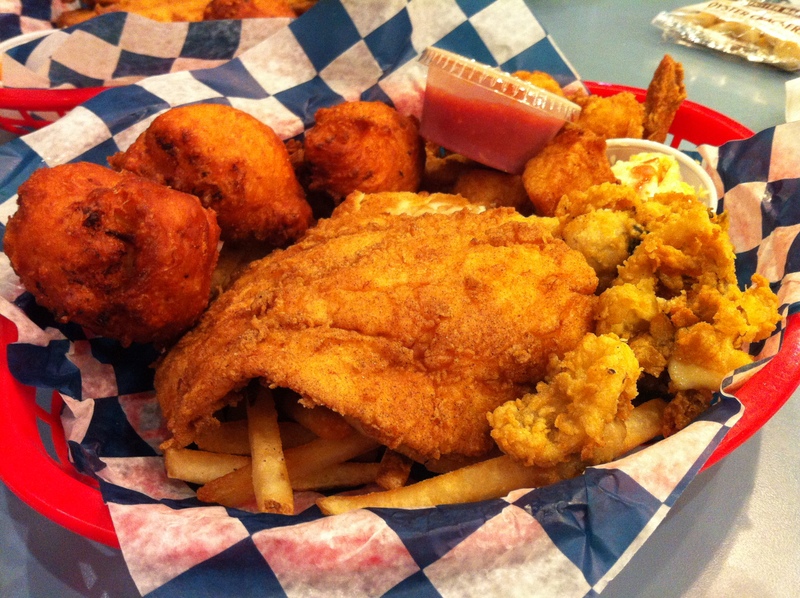 Blount’s seafood dinner for two, a Friday special. haddock, scallops, whole belly clams, shrimp, french fries, cole slaw and two drinks. The clam chowder was our favorite with just the right amount of creamy with good hunks of firm potatoes and tender clams, but I definitely prefer the clam cakes at Flo’s Clam Shack. The rest seemed more like your traditional seafood shack fare, although the whole belly clams were quite unique and tasty. Next time, I’ll try the lobster bisque and a lobster roll for a taste of summer decadence in the off-season. I wouldn’t recommend the lobster rolls at Blount but the soups are great. Hmm, that’s too bad. Well maybe next time I’ll just get a big bowl of soup!